Since I’m still waiting for all the audio components I ordered for E.V.E’s voice recognition functionality, let’s try in the meantime to interface E.V.E with a first home device. The very first one that comes to my mind is of course a television set. Let’s try ! These devices are completed by a remote control and iOS /Android applications. 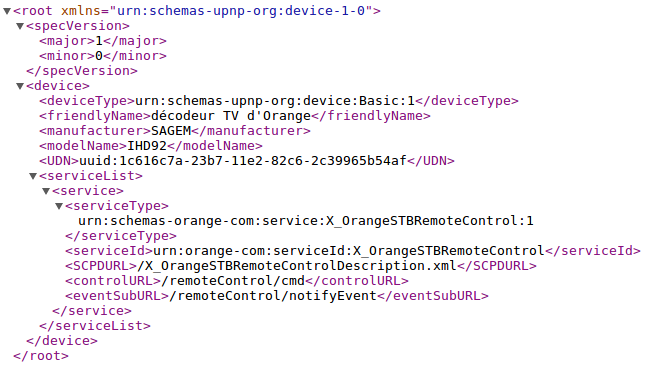 Unfortunately, Orange doesn’t publish any document on its API, or any information at all on how to interface with its devices. Which is a real shame. 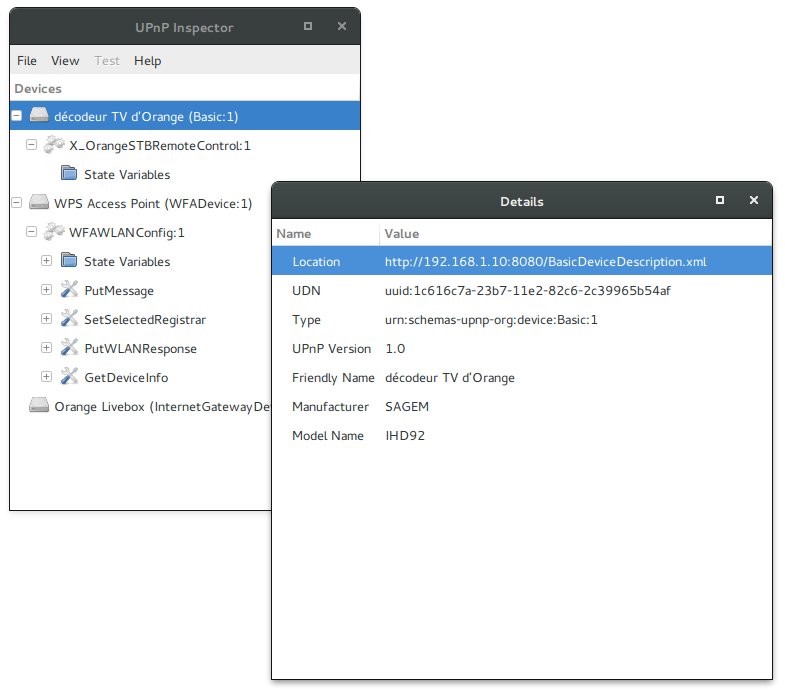 But since Orange applications for smartphone and tablets are able to drive these equipment over Wifi (and hopefully HTTP), there is probably a way to reverse-engineer the protocol used. Here, the IP address of my set-top box is: 192.168.1.10. 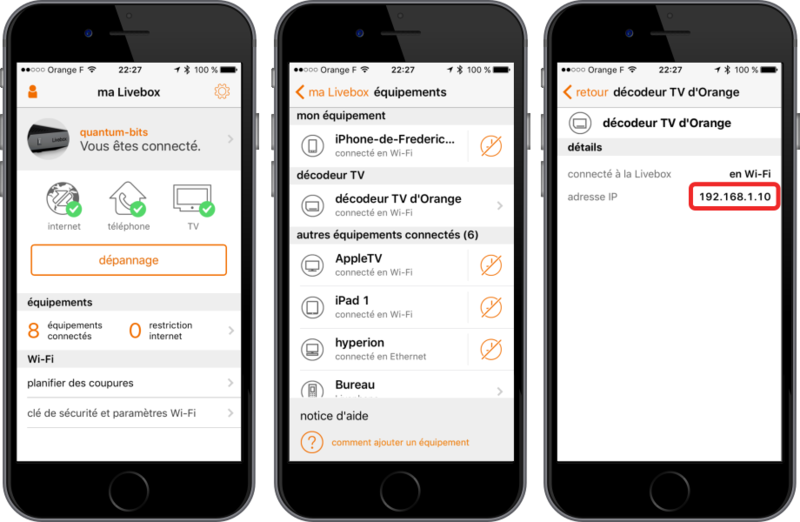 Let’s move on, launch Orange application “TVcommande” (which turns a smartphone into remote control), and sniff out with kismet the HTTP traffic. and powers on the device. Repeating this request will power off the device. 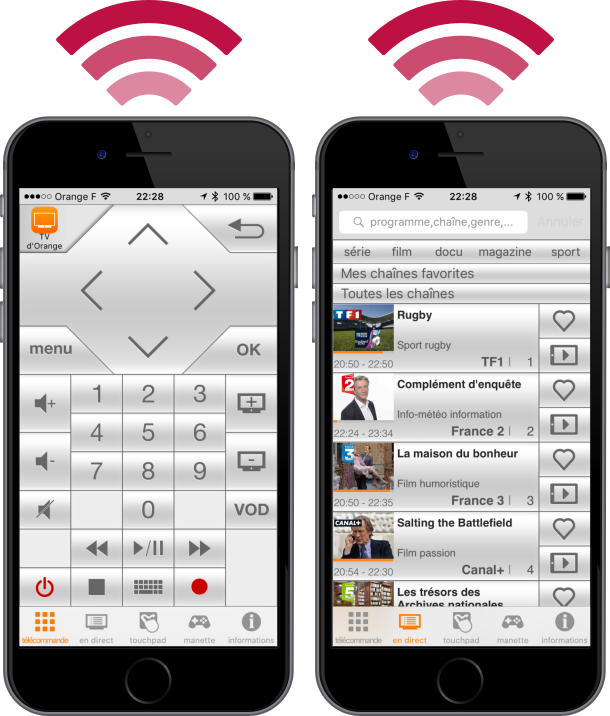 Now, let’s explore the “En direct” (i.e “live”) fonctionnality of the remote. 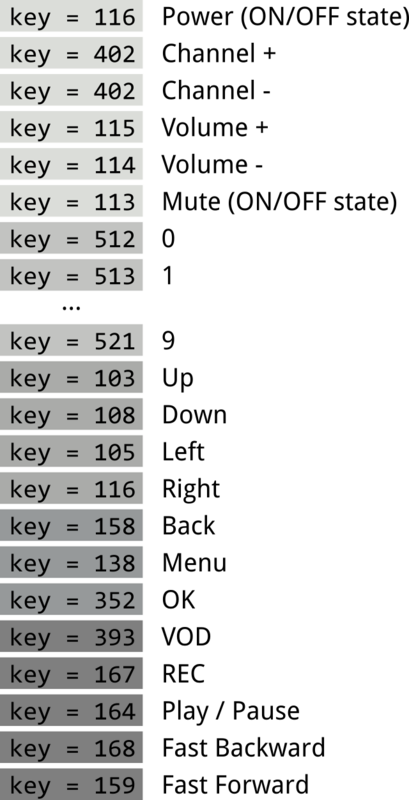 Where ZZZZZZZZZZ is a 10-characters long string. 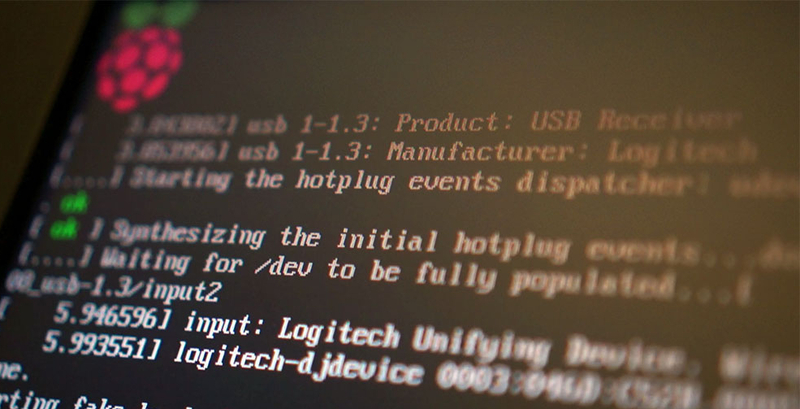 The right part of the string is the “epgId” of the channel (which can be obtained from the “channels” information from the previous JSON response). The rest of the string is filled with “*” characters. We now have enough information to implement a TV interface for E.V.E.